More than just an album: The Castle Life project has been an amazing adventure. For three months, Jerome Meyer AKA Von D, moved his whole studio and lived everyday at the Chateau Ephemere'. There, Von D had found the ideal place to experiment and produce an album far from the digital-based world so prevalent nowadays. Completely focused and fully immersed, Von D wanted to give this album a human, hand-crafted and tailor-made dimension. 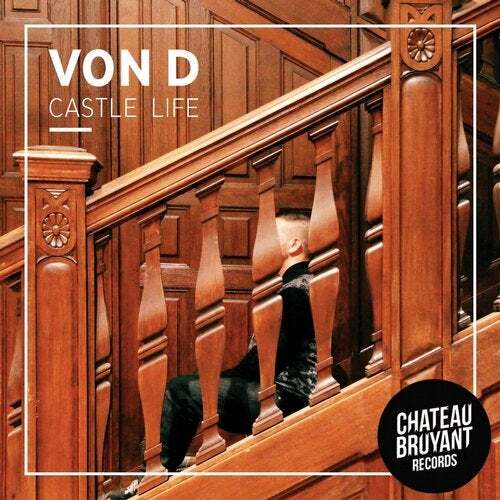 Castle Life is a concept album based on a rigorous analogue production process. With careful, attentive listening, you can sense the warmth and discover the charms of the sound being processed through many old-school analogue gear: spring reverbs, analogue tape delays, Valve EQs, compressors and a big old analogue mixing desk that Von D had the pleasure of manipulating live on recordings, and in the process, brought back the 'the old Dub way of mixing to modern-day music.' The castle's intimate walls have born witness to many comings together and myriad special shared moments: Phephe and the legendary Murray Man, both coming from Birmingham, UK, stayed at the castle whilst they recording their vocals straight in Von D's Studio. Producers like Stepz and Niveau Zero had also come to Von D's artistic abode at the castle to carry out real collaborative work. In addition, many esteemed jazz musicians of great talent whom Von D grew up with had passed through the studio: soprano saxophone player Matthieu Asserre, trumpets, trombones, electric guitars, electric bass, palmas (Spanish hand percussion), toy pianos, analogue synths. Swindle has also given his digital blessings to one of the tracks with his trademark Jazz Funk keyboard skills. Such sessions have given birth to an authentic and rich musical body of work. As for those who couldn't make it to the castle such as Mc Fats, Pupajim and Flatmate, these collaborations are without a doubt the fruits of a real musical and human relationship. Von D gives the album's ten tracks a unique vibe through the passion and precision of a real orchestral conductor. Castle Life LP oscillates genres seamlessly and in total freedom. It encompasses soul, digital reggae, dub and bass music, making it a rare, golden piece of music that is authentic and unassuming, as well as maintaining a warm, fresh and up-to-date sound.